High in the Hollywood Hills, the private garden of landscape designer Johanna Woollcott showcases her love of nature along with her desire to create gardens that are boldly colorful and surprising. 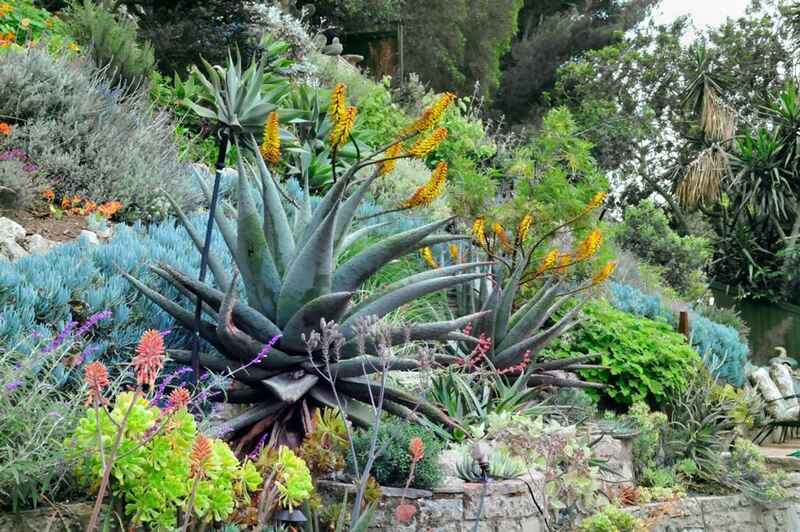 For the past three years, she and her husband Eugene McCarthy have been transforming their steep, terraced hillside from a conventional mix of turfgrass, ficus, and ivy to a dynamic tapestry of plants native to California and other mediterranean climate regions, generously augmented by succulents. The original concrete retaining walls are now softened by inspired combinations of drought-tolerant plants. A curved path invites exploration up or down the slope, the effort rewarded by intimate seating areas or sweeping views of the garden and Bronson Canyon along the way. 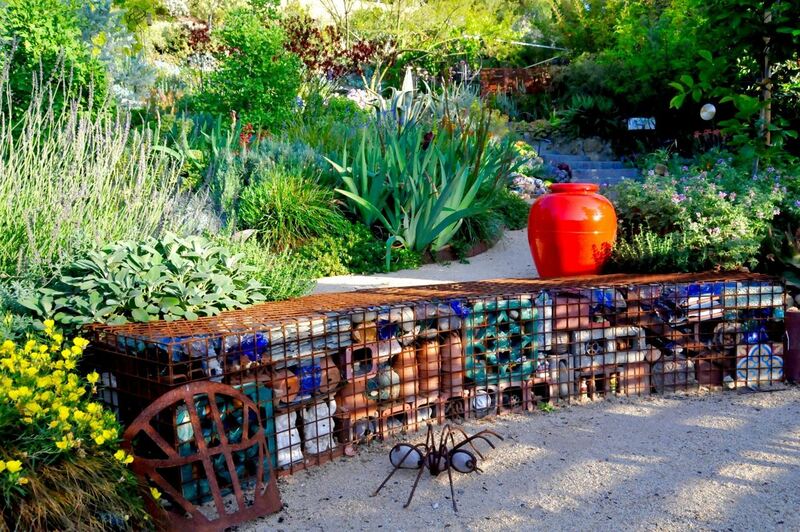 Many recycled materials and art objects are playfully repurposed as water features, gabion walls, grape arbor, fireplace, or rusted steel fencing. In addition to indulging her creativity at home, Johanna owns and operates Wild Gardens L.A. and is a member of APLD (Association of Professional Landscape Designers). She looks forward to sharing her garden with SCHS. This exceptional garden is full of rare plants and objects and SCHS is privileged to be able to hold a tour here. We will provide coffee and light fare to complement your visit. Please note: this hillside garden involves walking up and down stairways. For those with mobility issues, parking is available at the top of the garden with access to a viewing area. Please contact socalhort@gmail.com if you have concerns.